Purchasing a car is big decision for anyone in India as it requires a lot of research, analysis and contemplation. A number of people saves for a long time before they end up buying a car. Thereby, the car an individual finally purchases should cater to his/her affordability, space requirements and most importantly, the road conditions in which it will be operated. In a country like India, buyers have a lot of options to choose from. There are a lot of companies in the market, which includes both domestic and international auto makers, offering their entire fleet. Each firm has its own customer base that it wants to expand continuously by way of different methods and strategies. Maruti Suzuki, Tata Motors and Mahindra & Mahindra are some of the popular domestic brands, while international companies include Honda, Hyundai, Toyota, Volkswagen and Audi, among others. The choice of vehicle depends on several individual factors, such as area of residence, fuel price and driving requirements. For instance, someone living in a city is most likely to buy a car that is ideal for jam-packed traffic conditions, along with being stylish and fuel efficient. On the other hand, someone living in a less populated area would always prefer a large vehicle that is powerful and moves well on highways. However, as mentioned earlier, these things vary from individual to individual and sometimes, one thing about a car is enough to result in its acquisition. In India, the market for Sports Utility Vehicles (SUVs) has been on the rise for a long time. SUVs are solidly built, powerful, performance oriented and have a terrific road presence. What has added to an increase in their demand is fuel efficiency and the lower prices. A car like the Mahindra Quanto, which can be driven both in the city and on highways, has witnessed a lot of demand from buyers. It is fitted with an mCR100 BSIV engine that has a capacity of 1493 cc, generating an output of 100 bhp at 3750 rpm, along with torque of up to 240 Nm. It comes in 4 variants known as C2, C4, C6 and C8, which are base, middle, Anti-lock Braking System (ABS) only and ABS & airbag models, respectively. The Mahindra Quanto is a spacious yet compact vehicle that is capable of seating seven people. It has a signature front grille, stylish blackened pillars and a sporty roof, all contributing to the excellent looks of this compact SUV. Mahindra has used a lot of advanced technologies in the manufacturing of Quanto, which provide it an enhanced performance. The Micro Hybrid Technology puts the engine into standby mode following 2.5 seconds after gear is brought to neutral in stop zone. This not only improves its efficiency, but also helps in conserving fuel. Then there is the Digital Drive Assist System, which provides information on date, time, temperature (inside/outside) and instant mileage. The performance of the Quanto is further enhanced by the twin stage turbocharger present in the engine that facilitates fuel efficiency and a lot of power. Off-roading vehicles are also quite popular in the Indian auto market and a lot of them are also used for commercial purposes. 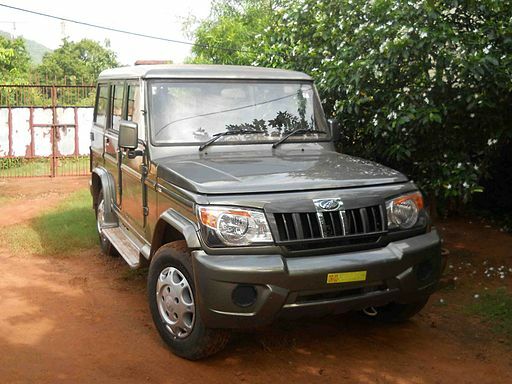 Mahindra Bolero, for instance, is an off-roader that has enjoyed great success in the country. It has a robust build suited for unfavourable terrains, along with a powerful engine that renders an excellent performance in tough conditions. The latest version of this vehicle is equipped with M2DiCR engine that has a displacement of 2523 cc. There are a few key aspects about the performance of the Mahindra Bolero. Smooth handling ensures that this off-roader can be manoeuvred with ease. Safety is one of the key aspects for a vehicle that travels a lot on highways and the Bolero is quite adept in such circumstances. Other features like voice messaging alert system, music system, power windows and keyless entry enhance the driving experience of this car. Also, premium SUVs have carved a niche for themselves among the Indian buyers and performed really well. It is quite obvious that consumers purchasing premium SUVs look for things like class, power, style, looks and performance. Thereby, it is necessary for any auto company to put in their best while designing a premium utility vehicle. In fact, for a lot of people, owning a premium SUV is considered to be an indication of their status and power. Also, the advantage of these vehicles is that they possess the elegance of a luxury sedan and renders a performance that is same or better than any off-roader. As these models are spacious, powerful and elegant, they can be used to travel in the city and are also suitable for tough terrains. Mahindra Rexton is an SUV that falls in the same category and has enjoyed considerable success. Incidentally, Mahindra Rexton happens to be the first vehicle from the collaboration between Mahindra & Mahindra and South Korea-based automobile giant SsangYong Motor Company. 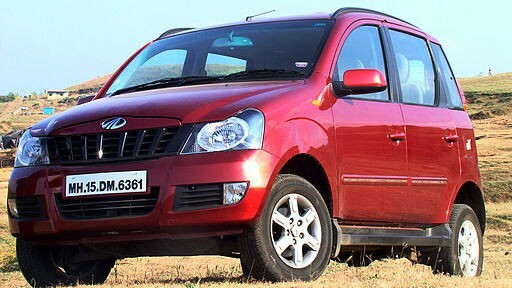 It can be noted that in 2011, Mahindra & Mahindra became a 70 per cent shareholder in SsangYong Motor Company. 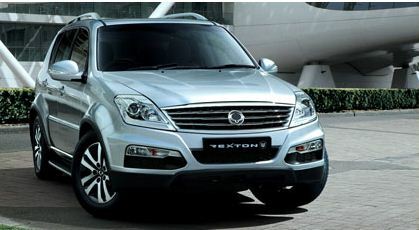 The Rexton, before being launched in India, has been a success in a lot of other countries. Mahindra Rexton has several outstanding features in terms of design, balance, power and comfortable, which combine to form a great SUV. The RX5 and RX7 variants of the Rexton are fitted with RX270 XDi and RX270 XVT engines, respectively. Both the engines have a displacement of 2696 cc with the former churning a maximum power output of 162 bhp and the latter producing 184 bhp. The Rexton RX7 is capable of reaching a top speed of 194 kmph. Style is one of the key factors in a premium SUV, of which there is plenty in the Rexton. Featuring a classy chrome grille, eagle-eye shaped projector headlamps, L-shaped parking lights and branding on scuff plates, the Rexton exudes a lot of class and style. The interiors of this model are dual-tone beige and black, and they also feature metal grain accents. As far as performance is concerned, precise handling and high level drive control is facilitated with the double wishbone front suspension with anti-roll bar. One of the highlights of the Rexton is the intelligent 4×4 Torque-On-Demand system (TOD), which involves the monitoring of driving conditions with the help of sensors. Additional torque is distributed to the front wheels when they start to slip to ensure stability. There are a lot of security features in this car for complete security of its driver and passengers. Electronic Stability Program (ESP), Active Roll-over Protection, immobilizer and the strengthened body structure combine together for a safe security system. To put things into perspective, there are a lot of options for buyers to choose from in terms of cars available in the Indian auto market. It is upon the consumer to analyse, think and understand the kind of vehicle he/she wants to purchase. Choosing the right segment, price range and space require are some of the things that one needs to look at. For example, a person who has a joint family is likely to purchase a SUV rather than a hatchback or a compact vehicle. Similarly, someone living in a place like the countryside or near highways is sure to buy an off-loader, owing to its suitability to such conditions.